Lightweight, stretchy, colorful: float through your day. 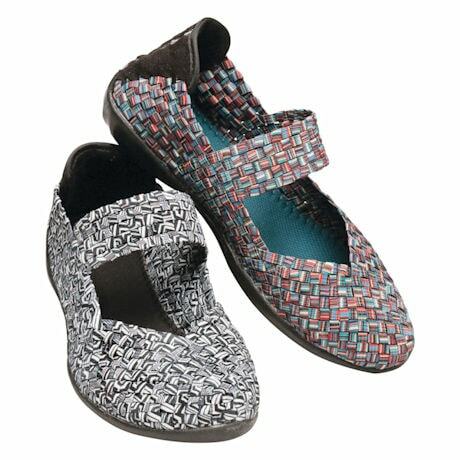 A mesh memory-foam inner softens every step; woven elastic gently gives as your feet bend and flex. Nylon elastic upper; rubber sole. Imported. Whole sizes 6-11; ½" heel. Specify Lapis or Marble.